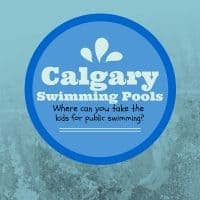 I asked around and even conducted a survey looking for suggestions for great places to take the kids out to eat. I’m putting the results of this into a series of posts. 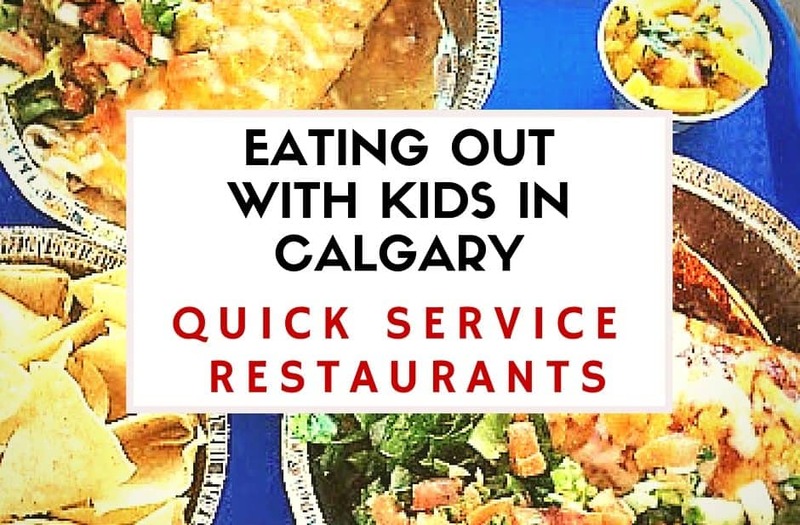 Great quick service restaurants (where you order at the counter) is the 2nd installment. This isn’t a exhaustive list but it has some great options with a large range of prices and styles. 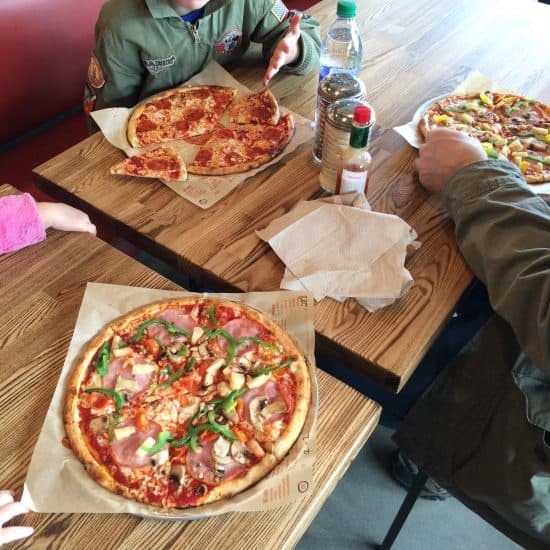 What’s your favorite quick service restaurant to take the kids to? Is there another restaurant you think should be on this list? IKEA was the most popular response for a fast casual restaurant. 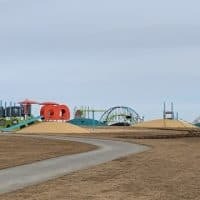 It has a lot going for it for families. You get your food cafeteria style so you get your food as fast as you can move through the line. The food is fairly inexpensive but you can get a wide variety of things from snacks, to sandwiches to salmon or Swedish meatball dinners. They have a kids’ menu as well with things like meatballs and macaroni and cheese served with kid dishes. They also have highchairs, plastic bibs, a bottle warming station and free baby food with an adult meal. You never have to worry about your kids being restless and acting like kids and they even have a little play area with a few toys and a TV. Smashburger is a US chain that has now expanded into Alberta – it now has 4 Calgary locations. Their patties are all made with fresh ground beef and ‘smashed’ into a patty shape. They offer fairly typical options including hamburgers, chicken burgers and salads but with premium toppings including haystack onions, blue cheese and spinach. They also have a variety of side options including sweet potato fries and fried pickles. Their kids menu offers grilled cheese, hamburgers, chicken strips (which can be grilled or crispy) and hotdogs. Thai Vegan Café opened in 2014 as a spin off from their original retail store in the Calgary Farmer’s Market. If you are looking for a vegan option, look no further. Thai Vegan Café is quick and welcoming and will happily help you find something your kids will like. The flavorful food will ensure you enjoy your meal whether your normally eat vegan or not. Fatburger is based in the US and now has 5 Calgary locations. Their patties are made with fresh ground beef and other typical burger joint options. What really sets them apart is the great music that is just as much a part of their identity as their food. Kids menu comes with a drink and a side of fries or veggies and dip. 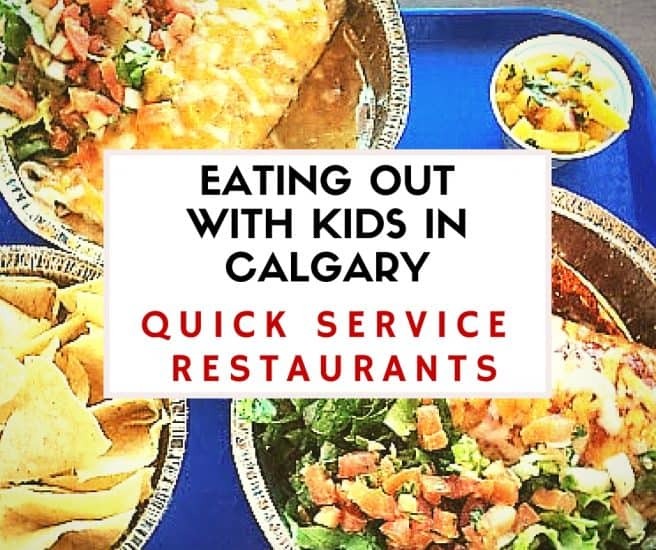 Costa Vida is casual Mexican restaurant chain with 2 Calgary locations that is bright and very welcoming to families. The food is good and comes quickly. They also have a bubble wall that babies particularly love. The kids menu includes Taco, quesadilla or enchilada served with rice and beans, a sweet cinnamon tortilla roll and a small drink. See our review of Costa Vida here. This fresh pretzel focused restaurant makes as much as it can in house including fresh daily soft pretzels and pretzel buns, roast beef and turkey breast and sauces including mayo and marinara. 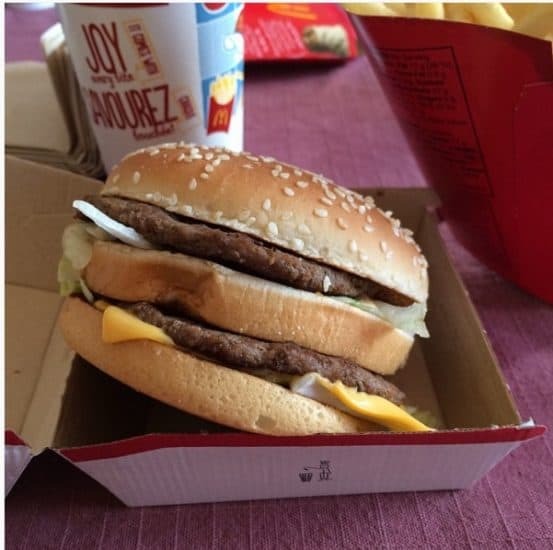 Although they don’t have a specific kids menu, all their sandwiches and twists can be ordered in a demi size for smaller appetites. 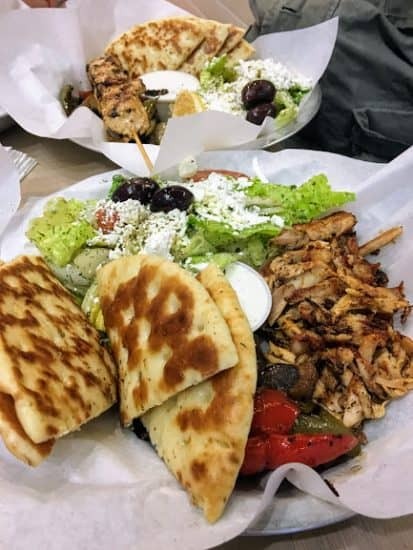 Paros Souvla strives to be the best of both worlds offering quality authentic greek food in a modern fast casual setting. To top it off, they offer a kids meal for $6.50 with chicken, fries, 1/2 a pita and tzatziki. Nando’s started in South Africa serving up Portuguese style flame-grilled chicken with a PERi-PERi (African Birds Eye Chili) sauce. 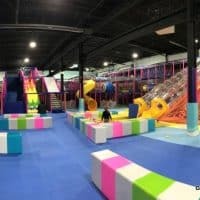 The atmosphere is relaxed and very family friendly. They have a kids menu which includes chicken skewers, quarter chicken, sliders, chicken strips or chicken wings served with one side and frozen yogurt. They also offer share platters which can be a great option as well. 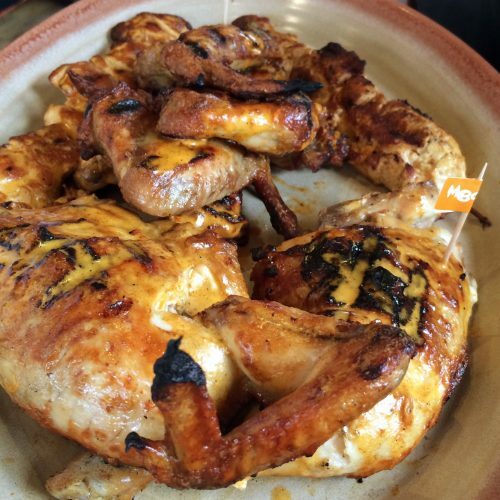 See our review of Nandos here. McDonald’s – It’s no surprise that McDonald’s was mentioned frequently as a great quick service option for families. 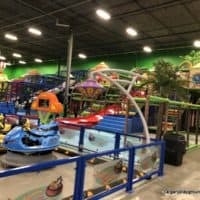 They cater directly to kids with their popular happy meals complete with toys and some locations even have play areas for the kids. The food may or may not be a favorite for adults but it’s consistent and they’ve really improved their coffee. Fast food restaurants in general tend to work well for kids as they are fast and the food is typically kid friendly. Wendy’s, Dairy Queen, Subway Edo Japan, Popeyes and Mucho Burrito were also recommended. Kinjo’s in Dalhousie is our family’s favourite quick supper. Service is great, food comes fast and kids can be kids.